A couple weeks back I told you about getting started with Google Chrome and Google Voice--and that went over pretty well. So this week, more Google tips. Like many folks, I rely heavily on Google Search; I probably use it dozens of times per day. Of course, wonderful as it is, it doesn't always give me exactly the results I'm looking for. For example, suppose I want to look up reviews of 24-inch LCD monitors, but only those models that have been released in the last six months. I can search Google, of course, but by default it will mix in everything that matches my search parameters -- old and new reviews alike. When the results appear, look in the lefthand column and click Show search tools. That should expand a group of time-related options. You'll see "Any time" highlighted by default, followed by choices like "Past hour," "Past 24 hours," "Past 2 days," and so on. At the bottom of that group, click Custom range. You'll immediately see a calendar selector. Choose your desired "From" date, meaning the date that's as far back as you want Google to search. If you leave the "To" field blank, Google will automatically default to today's date. But if you want an earlier date, click that field and select it. Click Search to see your results for your specified date range. I can't begin to tell you how valuable this option is, though I often find exactly what I need just with the one-click options ("Past day," "Past month," and so on). If you're looking to narrow (and therefore improve) your search results, try doing it by date. Reader George has this question: "I read your column on texting through Google Voice from a PC. Can you do the same with a tablet on Wi-Fi, no charge?" You didn't say what kind of tablet, George, so I'll answer that as broadly as I can: Yes. Some tablets don't support text messaging right out of the box. For those that don't, there are any number of apps that add messaging capabilities. 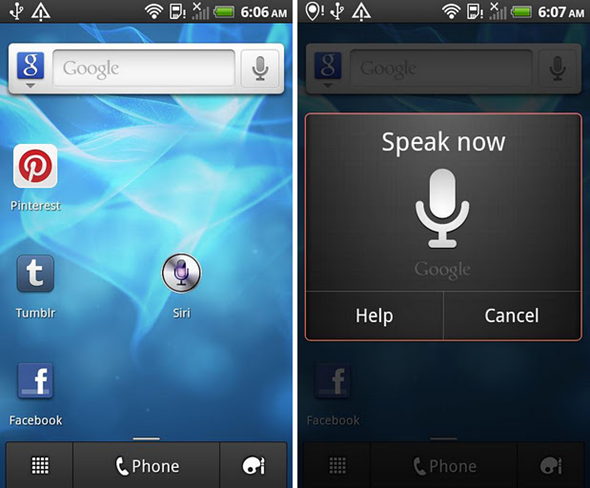 A couple of the more popular options include TextFree (Android and iOS) and TextNow (iOS). Of course, you asked specifically about Google Voice, and I'm happy to report that, yep, there's an app for that. Google Voice for Android and Google Voice for iOS both work just fine on tablets, and both offer free text messaging over whatever connectivity is available (i.e. 3G, 4G, or Wi-Fi). I should note that the iOS version isn't optimized for the iPad, meaning you'll have to scale it up if you want it run full-screen, but the functionality is there. I have a buddy who uses Google Voice on his iDevice to send and receive text messages without paying his carrier extra fees for the privilege. The nice thing about using Google Voice (as opposed to another third-party app) is that it's tied to your Google Voice phone number and your Google Contacts.